Cockroaches are a highly adaptable insect found in most areas of the world. Because of their adaptability they have become a common pest to humans. They will scavenge on starch, sweets, grease, cardboard, fabrics, in fact all human and animal foods, they will eat virtually anything. Cockroaches can become pests in your home or business, they will be found almost anywhere especially in food preparation and storage areas. Kitchens are the most vulnerable for cockroach infestation, they are warm, have plenty of food and water sources. The biggest cockroach problem in Australia’s kitchens home or business is the German cockroach, it has a massive reproductive rate and will take over the kitchen in a matter of weeks. Our professional approach to eradicate cockroaches in a multi-tactic treatment that will deliver effective and speedy results. Contamination from cockroaches has been demonstrated to cause food poisoning, diarrhoea, dysentery Staphylococcus and allergies. There are two main species which typically invade our homes, known as German Cockroaches (small) and American Cockroaches (large). The smaller German Cockroach has an extremely short reproduction rate and if left unchecked, is capable of rapidly breeding into a major infestation. The oval flattened body with log antenna and rapid movements of a cockroach scuttling around in your property is capable of causing repulsion to most, they mostly hide out of sight through the day and become active at night looking for food, indoor infestation of cockroaches pose a health risk and requires immediate action. Further evidence of an infestation may include black droppings, and smear marks, cast-off skins. Turning the light on through the night will make them scuttle back to their resting site. Dead cockroaches found in dark corners, gaps at the side of the fridge and around the toilet bowel. Cockroaches rest during the day in dark warm areas of your home or business, the small cracks and narrow spaces they find keeps them protected and secure which makes it all more difficult to find the infested areas. Our professional technicians are experienced in finding cockroach resting places, they will survey and assess the infestation, apply the most effective treatment to remove your cockroach problem to your home or business. 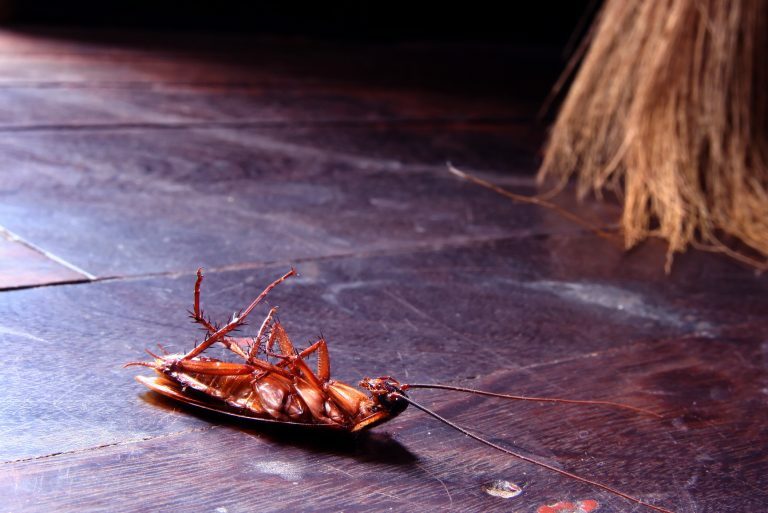 We use a wide range of technology and treatments to eliminate the Cockroach infestation to your home or business. To get rid of your Cockroach Infestation it may take more than one treatment to the areas infested, our treatment plans are targeted to minimal disruption to your home or business, our follow-up to the treatment will evaluate the effectiveness of the methods used. Partly opened food should be kept in tightly sealed containers, wipe clean all surfaces and spillages, sweep floors. Remove rubbish regular from waste bins and keep bins clean from food debris. Don’t leave pet food out overnight; keep pet food in sealed containers. Fill any gaps around pipework and electrical cableing or opening around door frames, use stainless steel wool to prevent entry of cockroaches through the weep holes. Inspection to your home or business by one of our experienced technician can be carried out during the day or after business hours. Cockroaches often dwell in environments that support the growth of organisms causing diseases harmful to humans e.g. sewers, grease traps and other sources of polluted water and refuse, by contaminating food products, utensils and surface areas with their droppings, cast skins, empty egg cases and vomit. Products in moist environments such as cracks, crevices in food storage areas such as bins, kitchens and floors searching for food source. If the cockroach infests the home, basic hygiene protocol will not eradicate this insect. It is therefore essential to examine the efficacy of effective precautions and reliable treatments. Cockroaches eat virtually everything; animal or human food or beverage plus any dead animal or vegetable material. These may include cardboard, hair, glue, leather, fabrics, starchy book binding and wallpaper glue to name a few. Typically, cockroach infestations develop in and around buildings and other structures that provide food, shelter and offer the preferred conditions of temperature and humidity. A commercial kitchen, and some severely infested domestic homes, may support thousands of cockroaches in various developmental stages. Light amber-brown with two dark longitudinal stripes on the pronotum. 12 to 15mm long. Commonly infests the interior of buildings, mostly in and around kitchens – domestic and commercial pantries, storerooms and other food handling areas. They are commonly found in and behind stoves, sinks, refrigerators, water heaters, any electrical appliances, any crack or crevice, all hollow bench, table and chair legs, literally everywhere. Prefers to be close to water, food and warmth. Does not fly but is a prolific breeder. Reddish brown, pale yellow border around pronotum. Wings completely cover the abdomen. 35 to 40mm long. Often found in subfloors, sewers, grease traps, wall voids, cellars, roof voids, in and around refuse tips. May be a concern around hospitals, bakeries, food stores, warehouses and other foods handling establishments. Flies in warm weather and often travels for food. Pale brown with very pale bands across the thorax and abdomen. Female has reduced wings and male is fully winged. 10 to 14mm long. Commonly infests houses, offices and other buildings. Not restricted to kitchen areas – prefers drier areas e.g. bookcases, desks, wardrobes, around picture frames, in stored files, light fittings. Infestations are often found throughout the building. Flies when warm or disturbed.